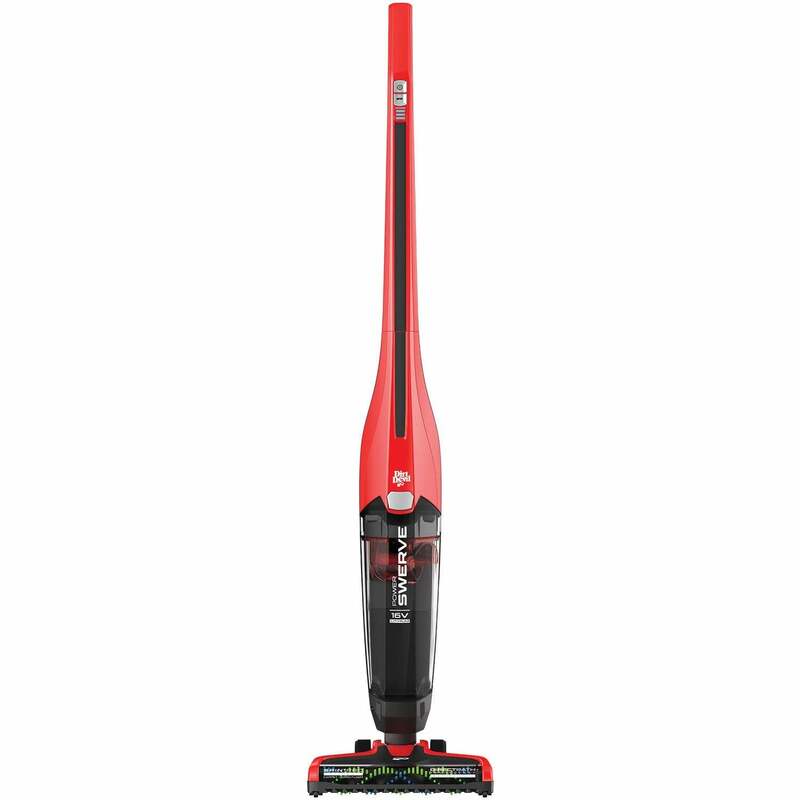 A longer run time, fast charging, and fade-free power make this one of the best Dirt Devil stick vacuums available. Great for powerful carpet and hard floor cleaning. The XL dirt cup holds 2x more dirt and debris than the Dirt Devil Vac+Dust BD21005. It’s incredibly easy to maneuver and comes with a 2-year limited warranty. Overcharging the battery may lead to shorter run times. Some consumers have found that the vacuum becomes clogged easily. 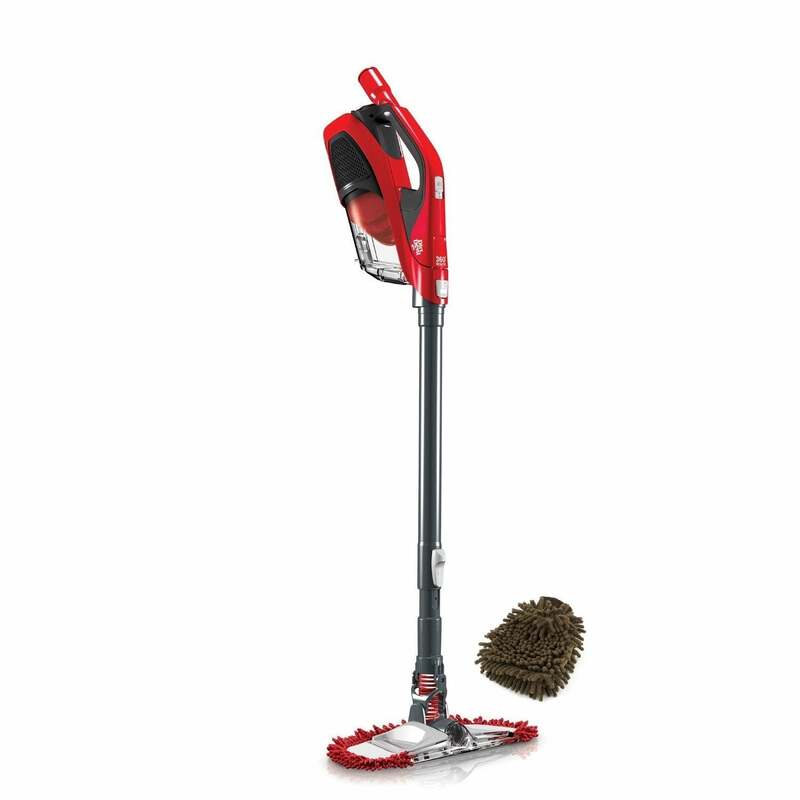 This is the best Dirt Devil stick vacuum for hard floors. It comes with a 20-foot cord (longer than most corded Dirt Devil stick vacuums), bagless convenience, and a wide cleaning path. It also features cyclonic filtration and can be stored in tight spaces. This vacuum doesn't pick up large debris and is prone to sucking up area rugs. This innovative, no-frills stick vacuum includes a detachable hand vacuum and is capable of picking up all types of debris on carpets and hard floors. This is one of the lightest Dirt Devil stick vacuums on the market—it weighs less than 4 pounds. The filter can get stuck with pet hair and lint and isn't washable. 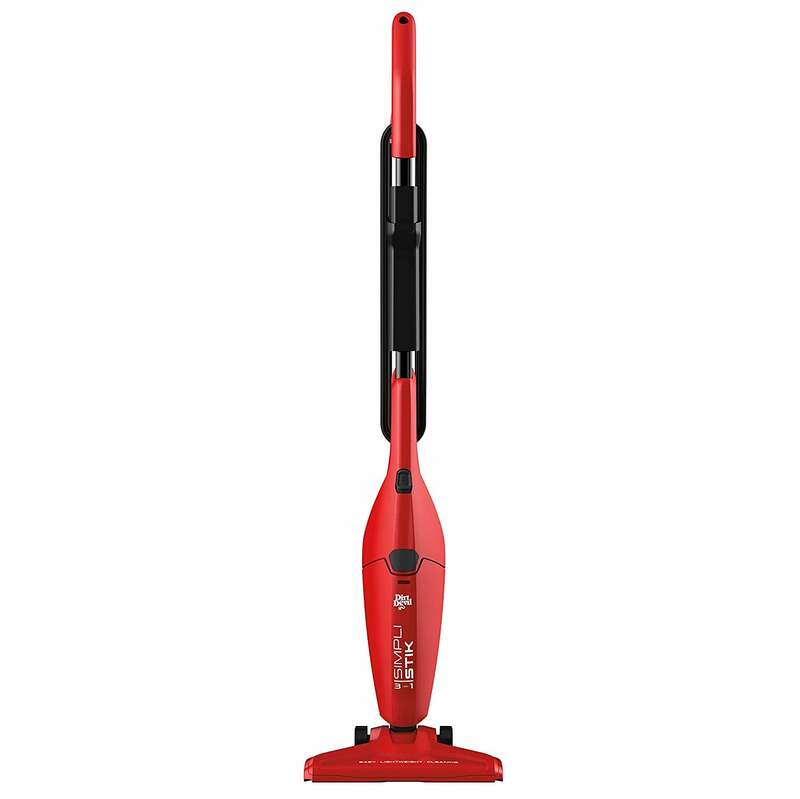 This 4-in-1 stick vac can clean from your floors to your ceiling with powerful, cyclonic technology. It comes with a variety of tools to reach tight spaces. It also comes with an easy-to-clean dust cup for quick debris release. Another pro: its microfiber cleaning attachment does a great job at removing pet hair from upholstery. The weight of the motor and vacuum mechanism is a little heavy and can be hard to handle for people who have arthritis. 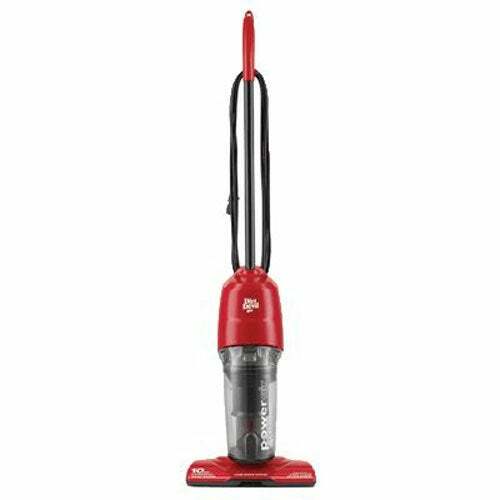 Perfect for small messes, this model is one of the most portable Dirt Devil vacuums available. It has an on/off brushroll that allows you to conveniently switch from hard floors to carpets. It also comes with a detachable handle that allows you to clean tight spaces in your car. Carpet cleaning is better on carpets than hard floors. The cord is extremely short, so an extension cord may be required if you’re vacuuming larger spaces. Dirt Devil stick vacuums are some of the most lightweight and maneuverable products on the market. Most Dirt Devils work best on hard floors, but there are some models that do a great job cleaning carpets and bare flooring. Another bonus: a majority of these vacuums can transform into a handheld vacuum, allowing you to clean hard-to-reach spaces like under your couch or behind a bookcase. The House Method team reviewed a variety of Dirt Devil stick vacuums and pored through thousands of customer reviews to find the best products for you and your home.